why there are so many of them around. 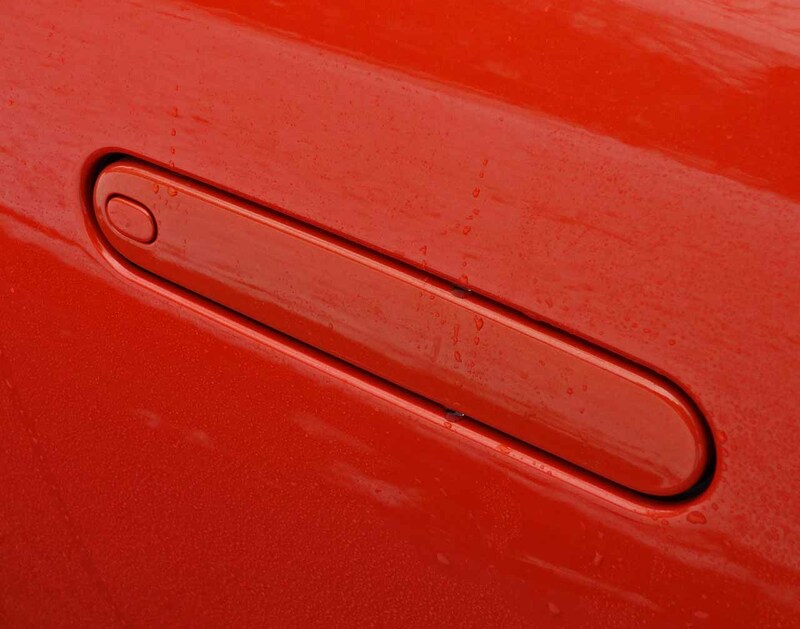 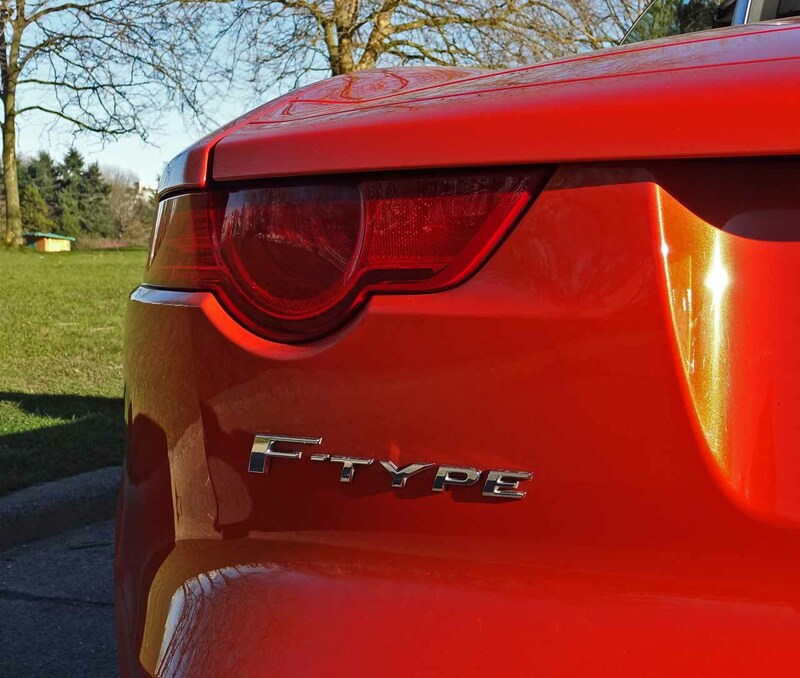 It delivers solid, reliable performance for a fairly approachable price point, at least in its most basic trims. 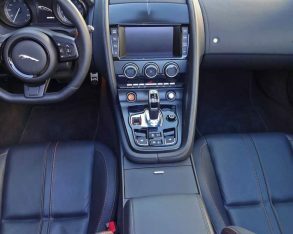 Certainly other luxury brands have shot back with sports cars of their own, but the majority are priced substantially higher or don’t measure up to the 911’s performance and are therefore ruled out of the argument. 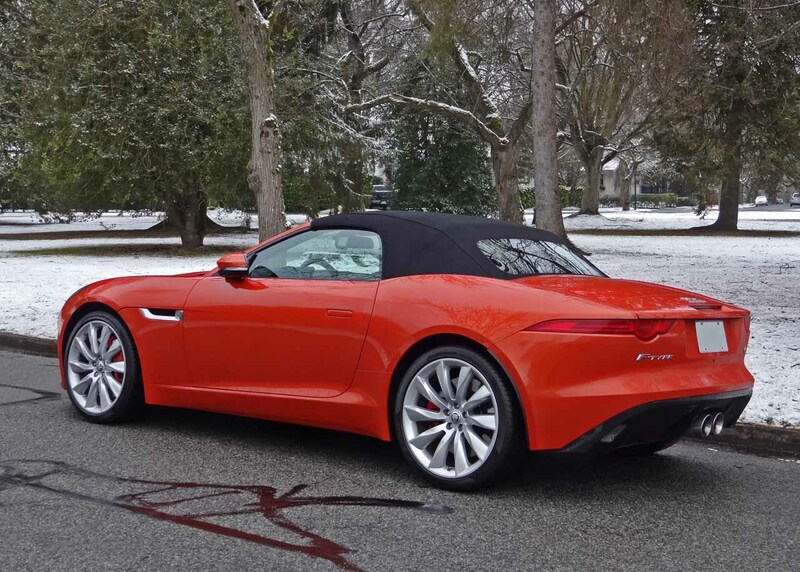 That is, until Jaguar showed up with its new F-Type. 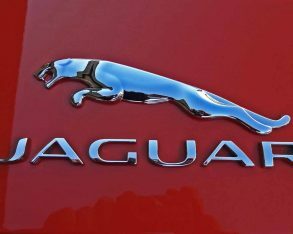 into the must-have luxury brand for those fortunate enough to acquire one of its namesake models or top-tier Range Rover SUVs. 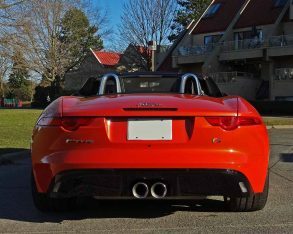 scooting the lightweight roadster from standstill to 100 km/h in a mere 5.3 seconds before attaining a top speed of 260 km/h. 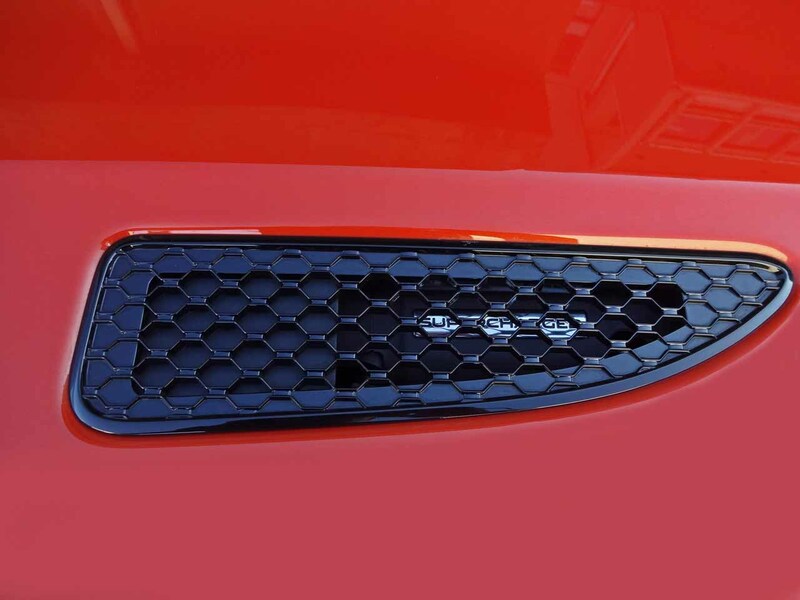 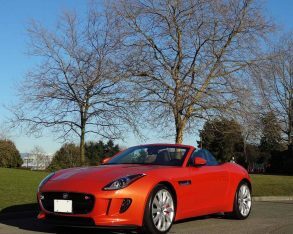 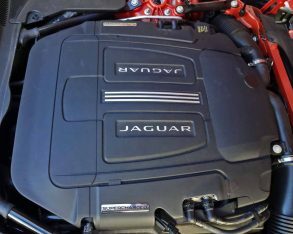 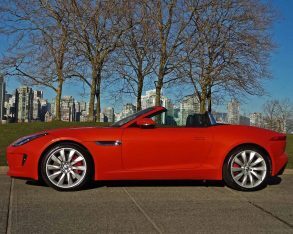 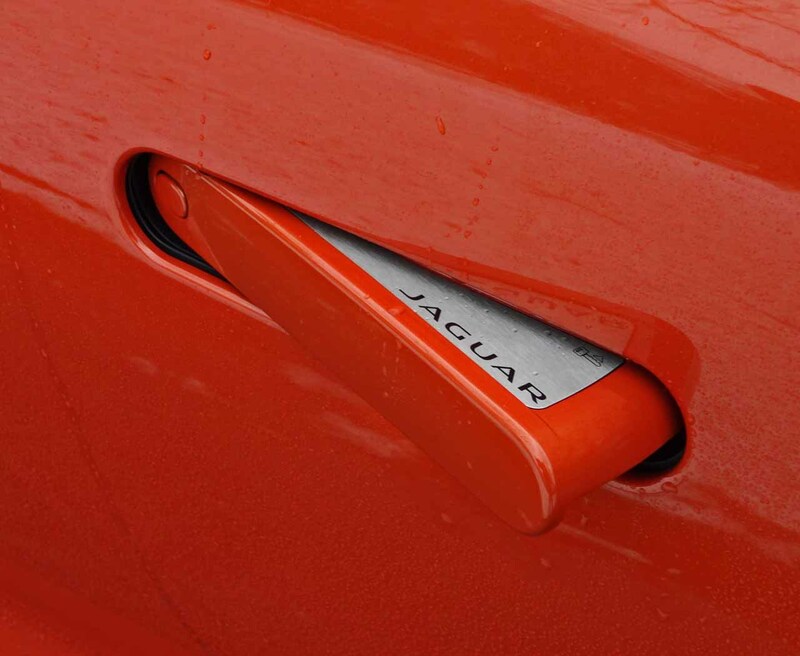 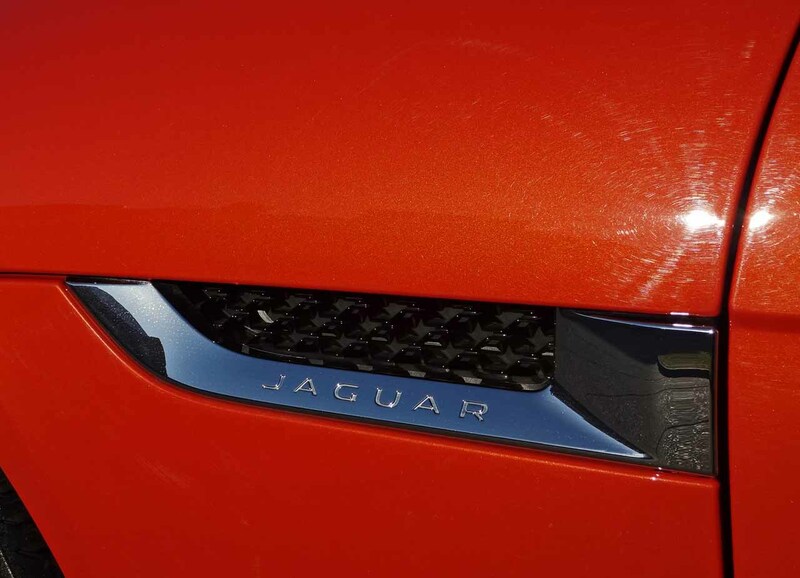 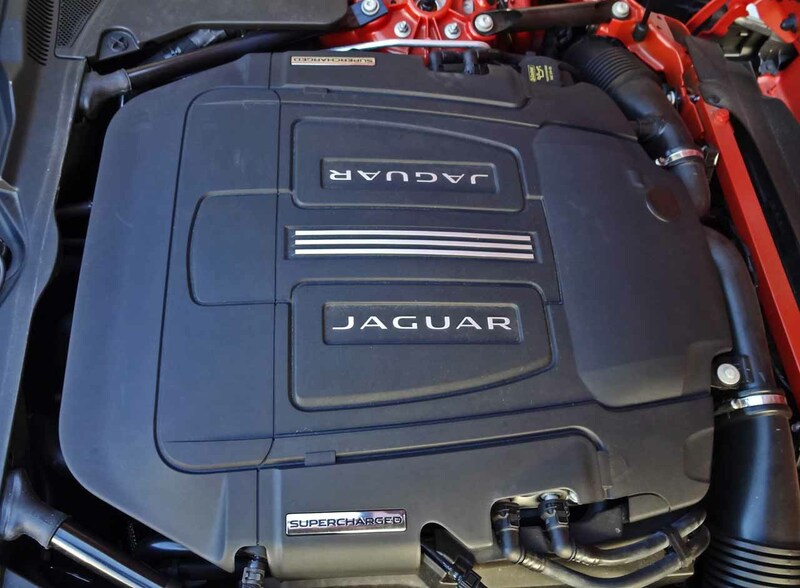 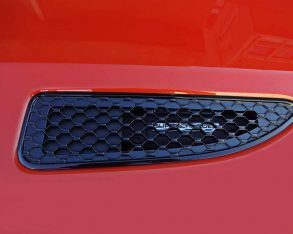 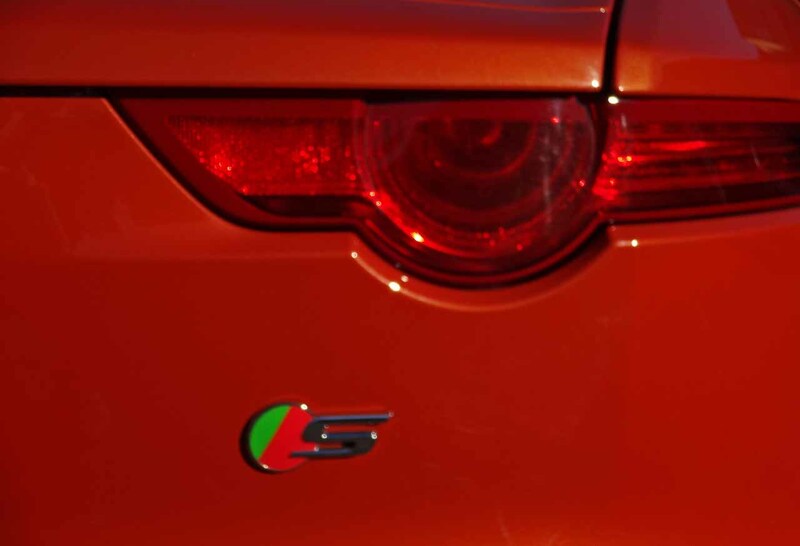 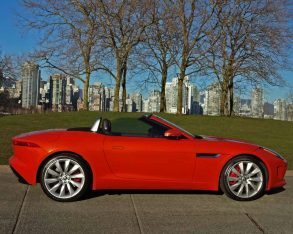 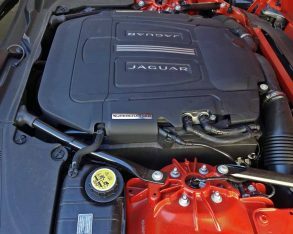 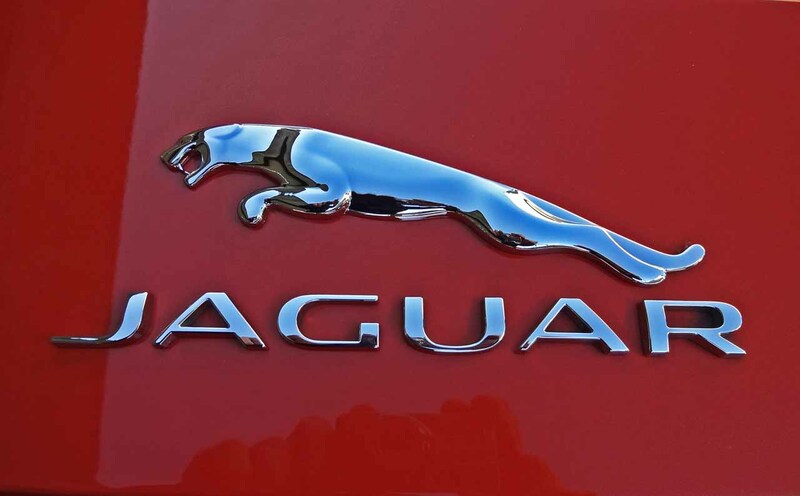 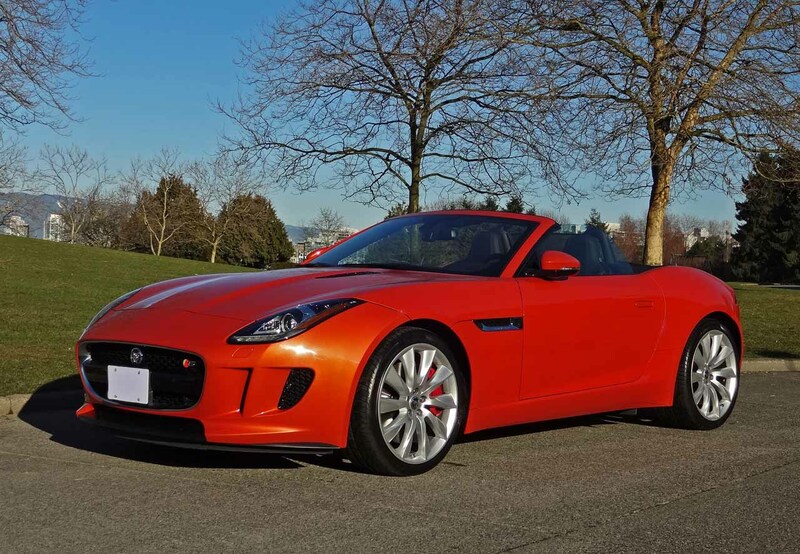 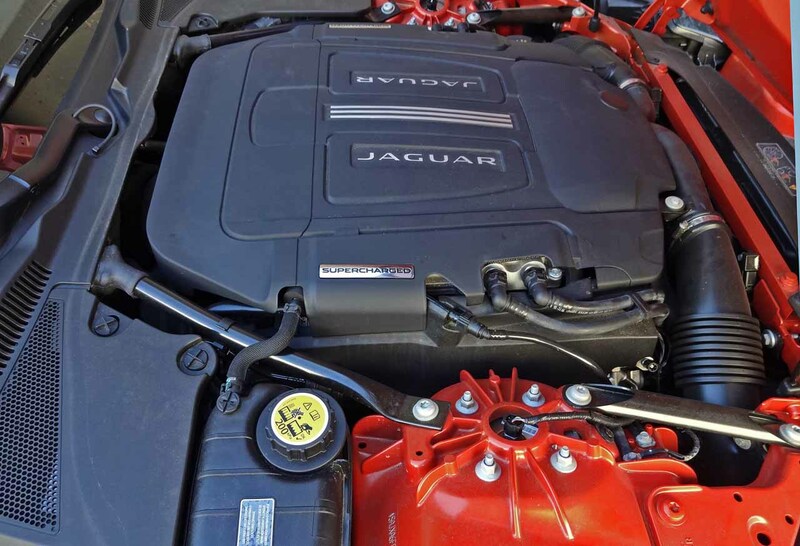 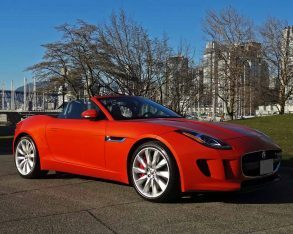 Add an “S” to the car’s moniker like Jaguar did to my tester and the same basic engine is boosted to 380 horsepower and 339 lb-ft of torque allowing a sprint to 100 km/h in an even more exhilarating 4.9 seconds and a top speed of 275 km/h, the latter sounding blissfully malevolent thanks to an active sport exhaust system with centre-mounted dual pipes, while the ultimately quick (for now) F-Type V8 S makes a heady 495 horsepower and 460 lb-ft of torque from 2,000 to 5,500 rpm for a 4.2 second sprint to 100 km/h and a terminal velocity of 300 km/h. 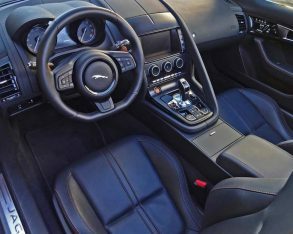 matter the engine, the F-Type gets a ZF-sourced eight-speed automatic gearbox with brilliantly quick shift-capability via unique bronze steering wheel-mounted paddles or the console-mounted lever, a great combination unless you want a good old manual gearbox, which, according to Jaguar, won’t be on the market until the 2016 model and then only with the rear-drive V6, information that lets you know all-wheel drive will be on the 2016 F-Type menu too, as will electric power assisted steering. 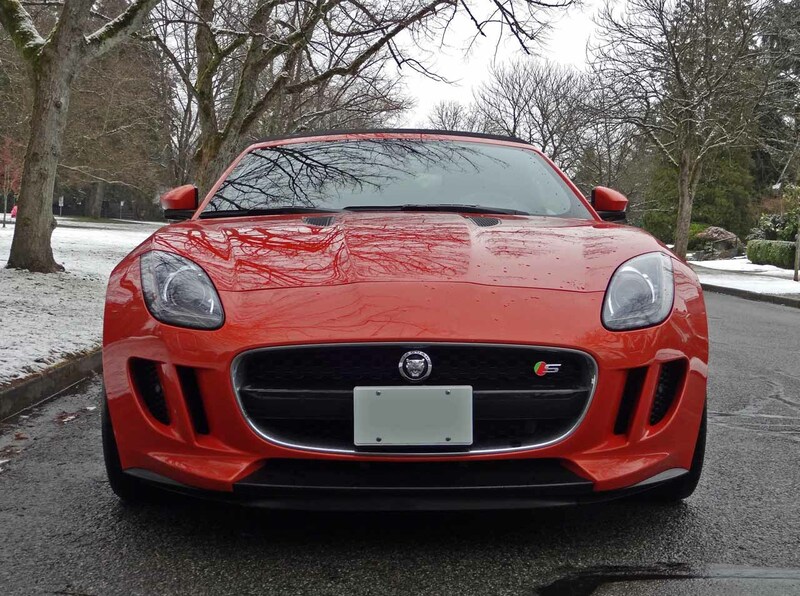 long time. 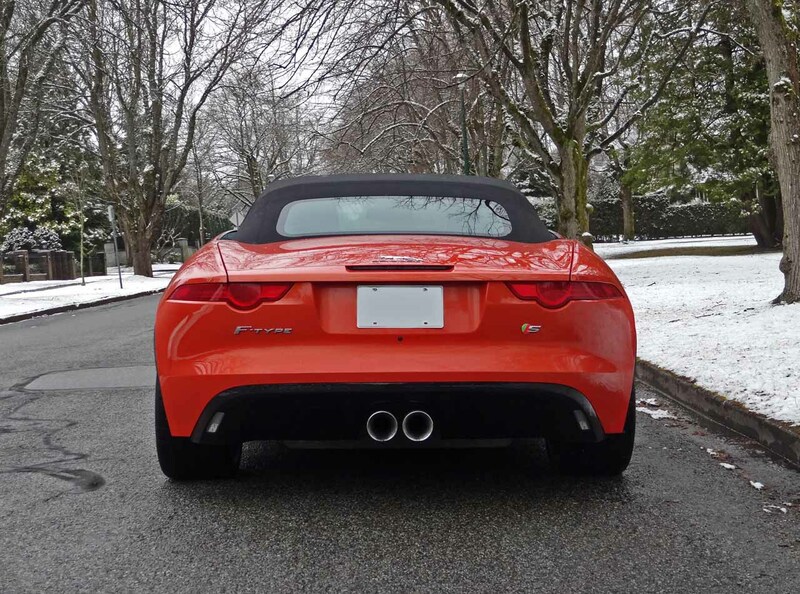 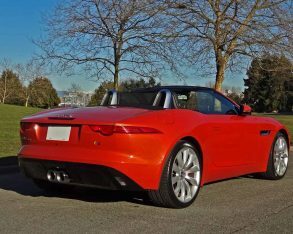 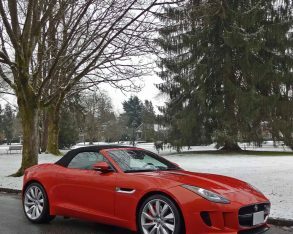 Don’t get me wrong, as the last XKR I tested was a fabulous performer that didn’t weigh all that much more than this F-Type at 1,751 kilograms (3,860 lbs), but the smaller F-Type S has a point and shoot immediacy to its handling that puts it in league with the 911 and few others. 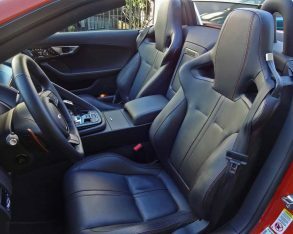 Its mostly aluminum double-wishbone adaptive front and rear sport suspensions are taut yet hardly punishing, the car’s inherent stiffness allowing for some suspension give while completely eliminating body flex, whereas a limited-slip differential kept the rear wheels locked in place even during aggressive throttle input around corners. 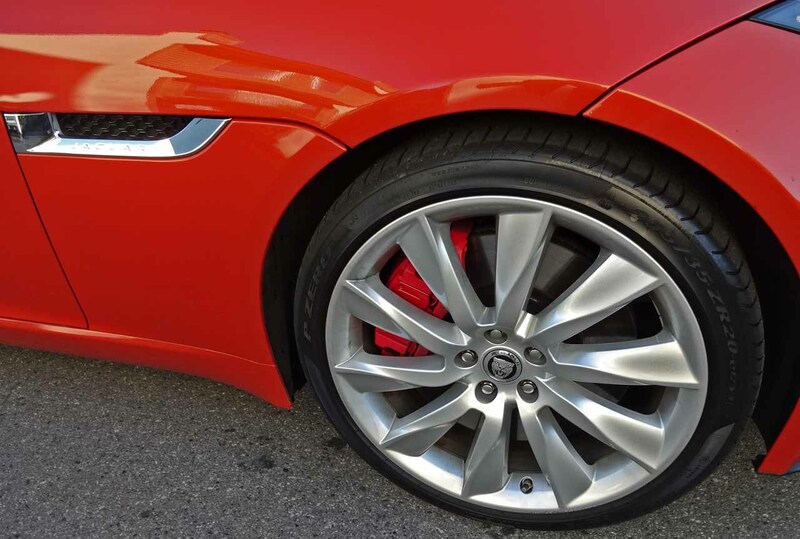 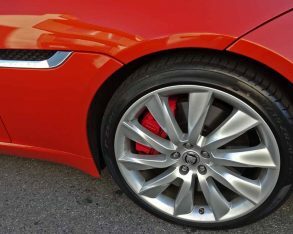 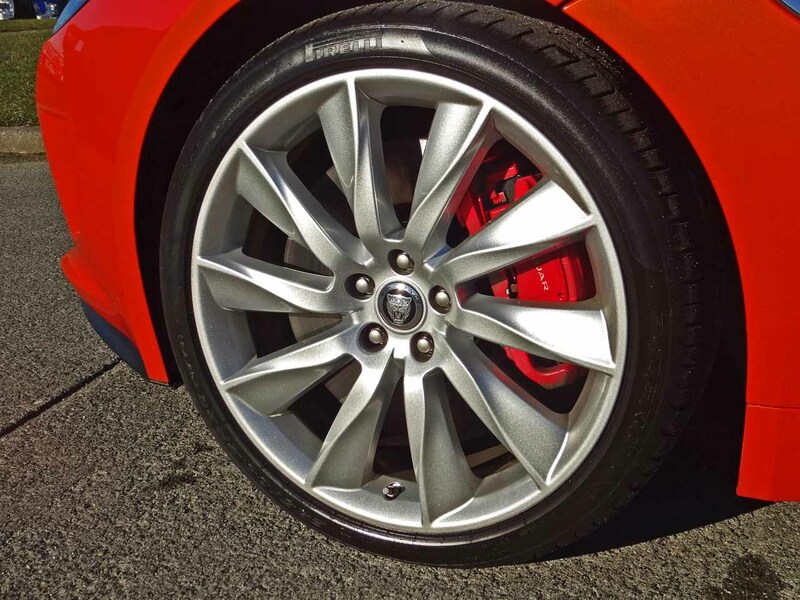 Likewise, the high-performance brake system, complete with gloss black calipers, helped keep all that forward momentum in control. 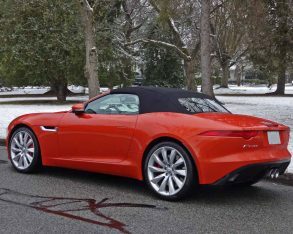 than the XJS that followed, or anything else since. 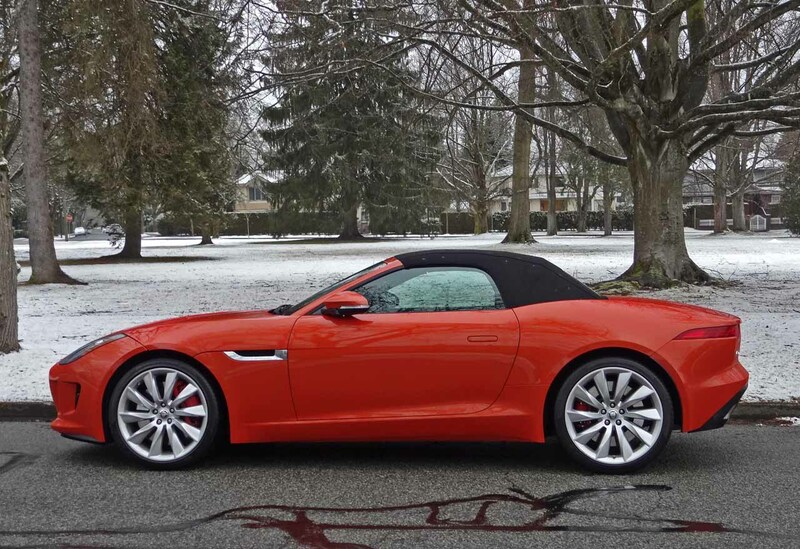 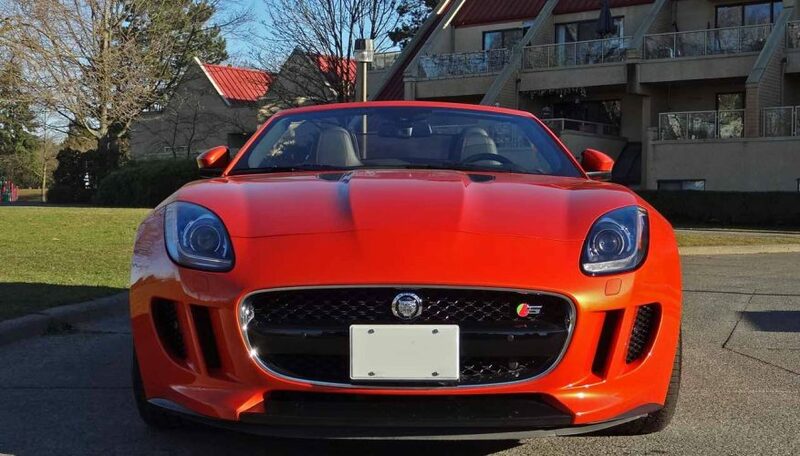 Certainly the current XK is a lovely looking 2+2 that I’d be proud to own, but the F-Type is just that much more intoxicating to look at. 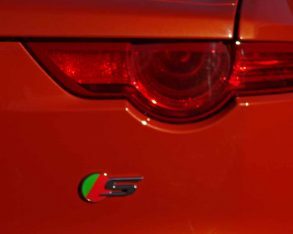 won Touring Car championships back in the day, but you wouldn’t think about painting a set of numbers on the side of a new XF or XJ to take to the track, although a new compact XE might be just the ticket in Touring Car. 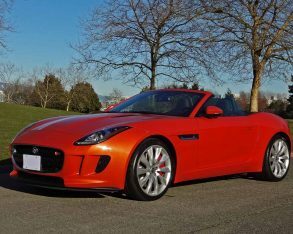 Yes, this new breed of smaller, lighter Jaguars could return much more passion to the brand, the F-Type being the first car in a long time that I expect will reappear in the Grand Touring Challenge class at Le Mans at some point (fingers crossed). added a lot of useful info when tasked by the leather-wrapped flat-bottomed steering wheel’s controls. 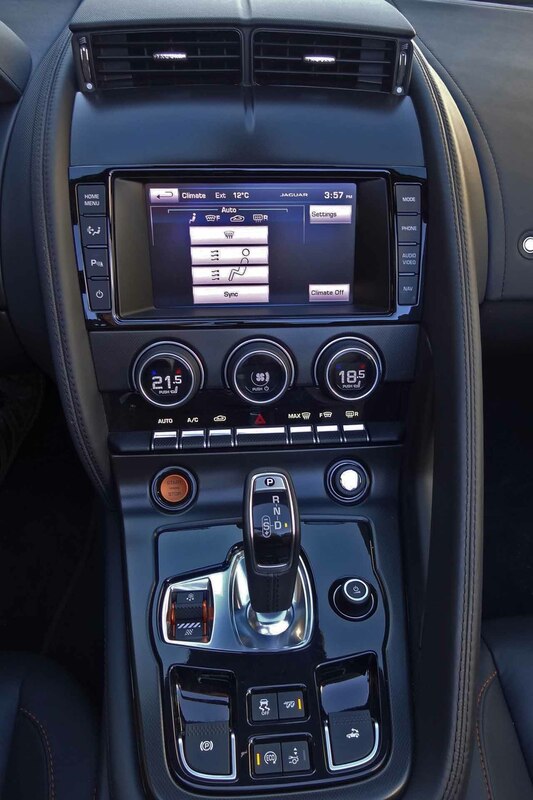 Likewise the centre stack comes fitted with a large eight-inch touchscreen display that’s every bit as up-to-date as anything from rival premium brands, with navigation and a 380-watt Meridian surround sound system hidden within, the latter only upstaged by the engine’s raucous note (made even meaner via an active exhaust button on the centre console). 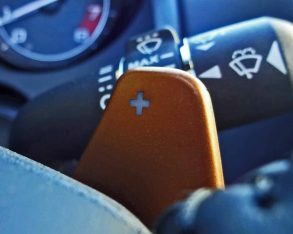 a more conventional stick, the electric parking brake lever beside it much better than a foot operated one but still short of what I’d rather have, a hand operated pull lever. 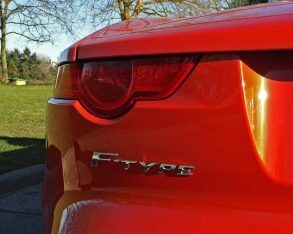 Still, the electric one saves weight and, if it’s good enough for a 911 I suppose we must accept it within the new F-Type. 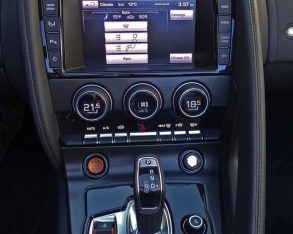 We’ll have to see how it works with the upcoming manual gearbox, however, as the same combination in a 911 is a royal pain when starting off on a steep incline. 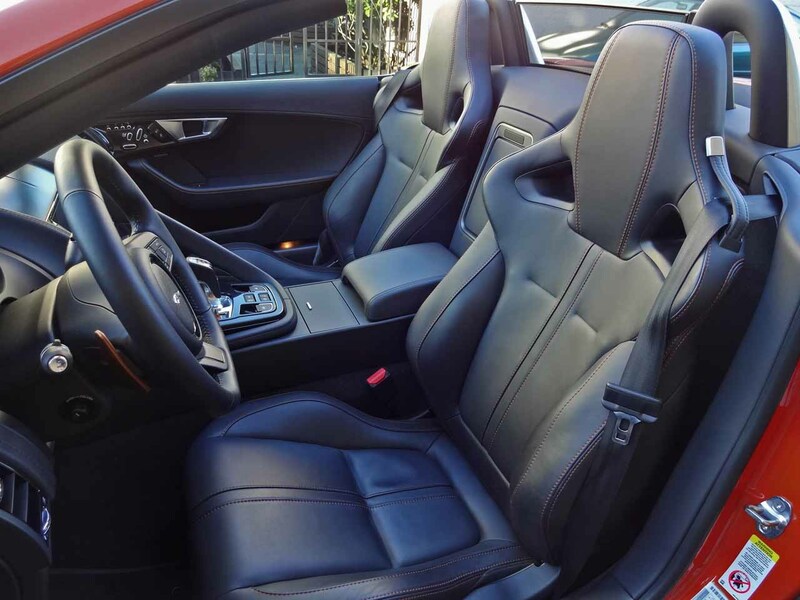 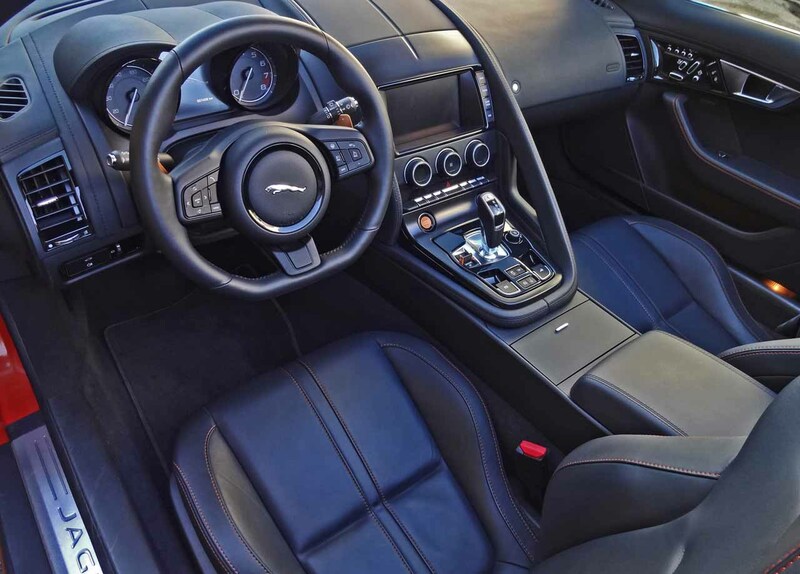 The F-Type S’ seats are sublime, wonderfully comfortable and fully supportive when pushing the car to its limit. 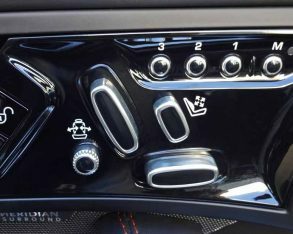 They’re adjustable via a set of door panel-mounted seat-shaped controls that make getting into the ideal driving position ultra-simple, and the driver gets three-way memory for multiple users. 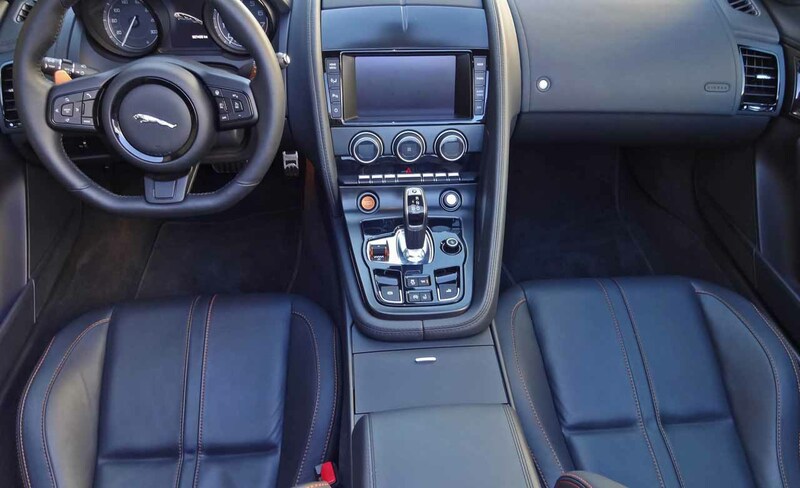 standard features include powered tilt and telescopic steering, dual-zone automatic climate control with filtration, and of course powered windows and locks plus powered, heated mirrors. 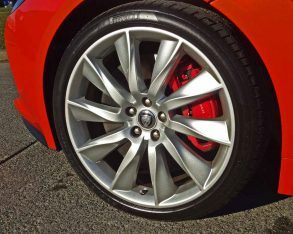 My tester added $600 worth of Firesand paint (well worth it from all the positive comments I received), plus a $1,600 set of 20-inch Turbine wheels on 255/35R20 front and 295/30R20 rear performance rubber, a heated windshield for $350, wind blocker for $300, and a $3,750 Performance pack. 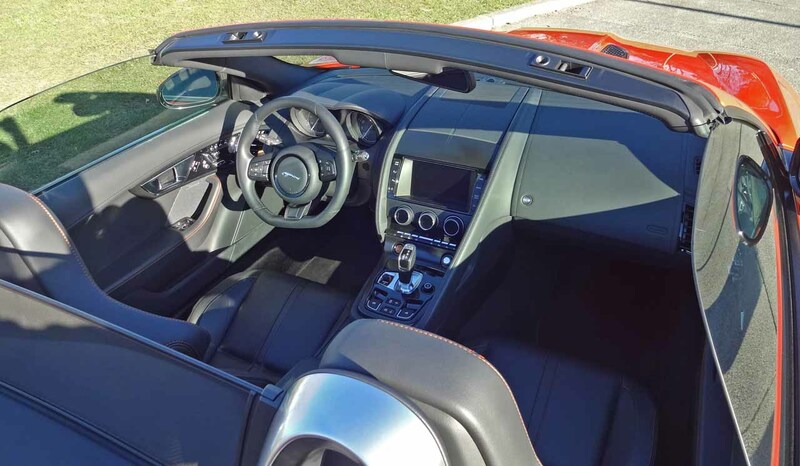 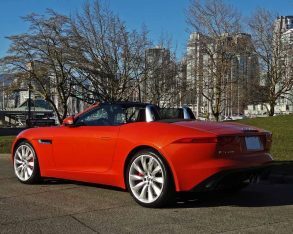 These items and others pushed the price of F-Type S Convertible from $88,900 to an as-tested $108,025, which still made it less expensive than the majority of 911s I’ve had the pleasure of testing. 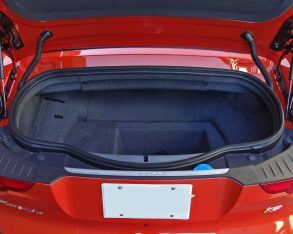 competitors’ retractable hardtops offer more of a year-round coupe-like experience, I’d be surprised if they’re any quieter and they certainly take up a lot more cargo room when the top is dropped. 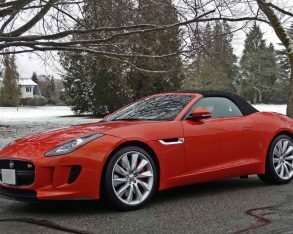 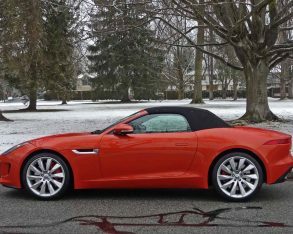 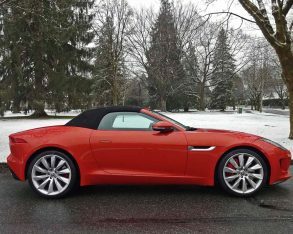 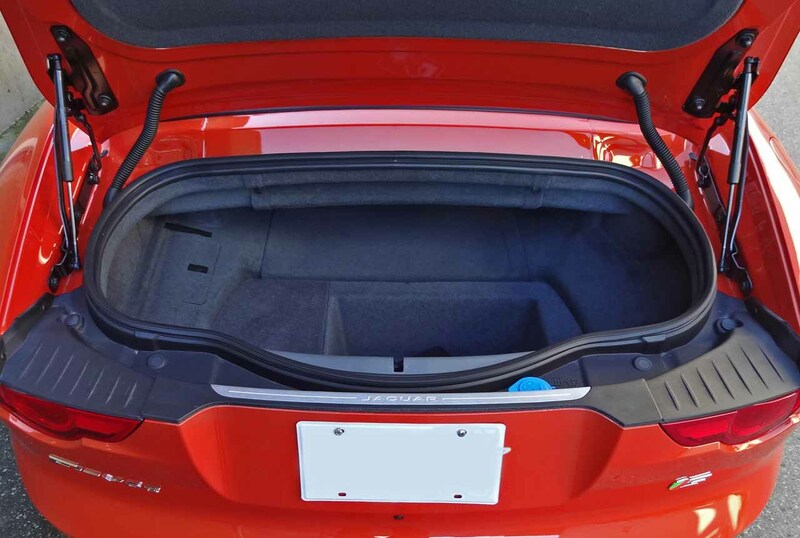 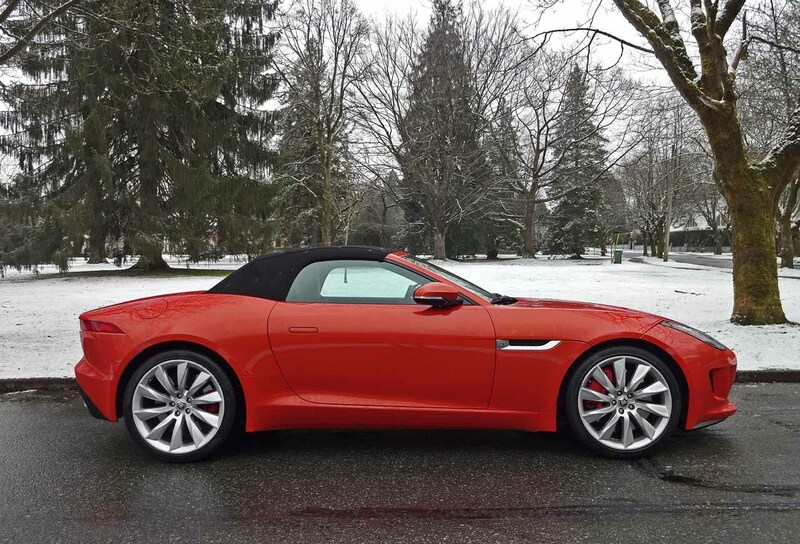 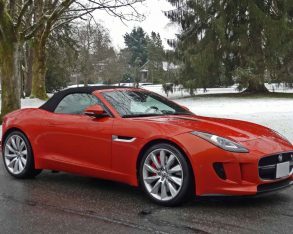 To that end the F-Type’s “boot” is quite accommodating for this class of car at 226 litres (8.0 cubic feet), albeit you’ll need to pack light for anything more than a weekend getaway. 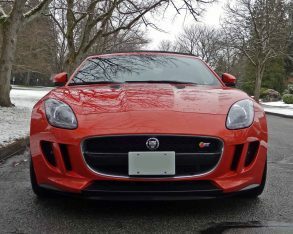 Fuel economy won’t be a problem, mind you, the F-Type S’ claimed rating being 10.8 L/100km in the city and 7.3 on the highway. 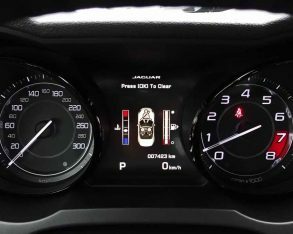 We all know these aren’t realistic numbers, but they’re useful for comparison purposes, and when compared they stack up well to rivals. 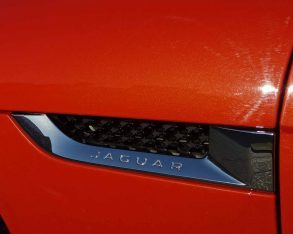 Jaguar having combined its four decades of built-up knowledge in designing luxury cars with its sports car pedigree that many thought was long since dead. 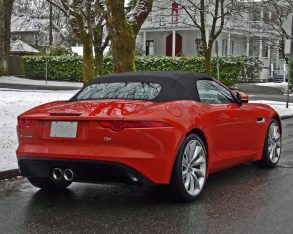 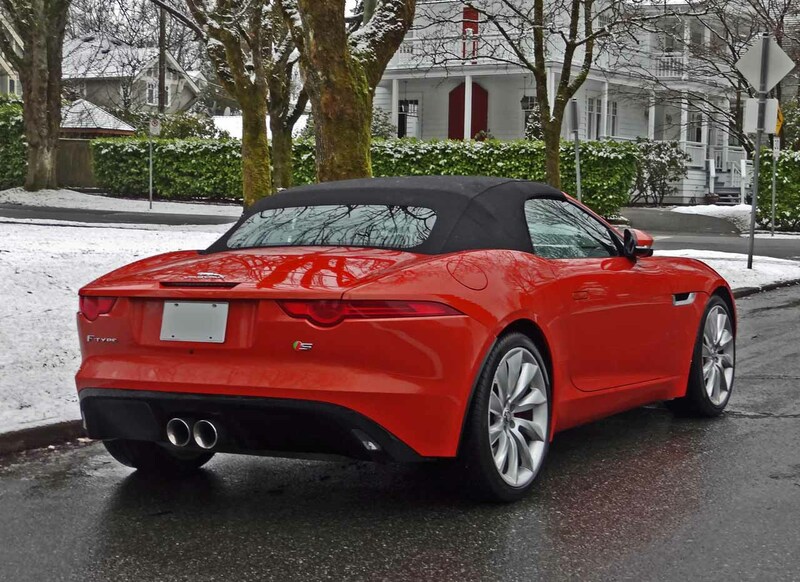 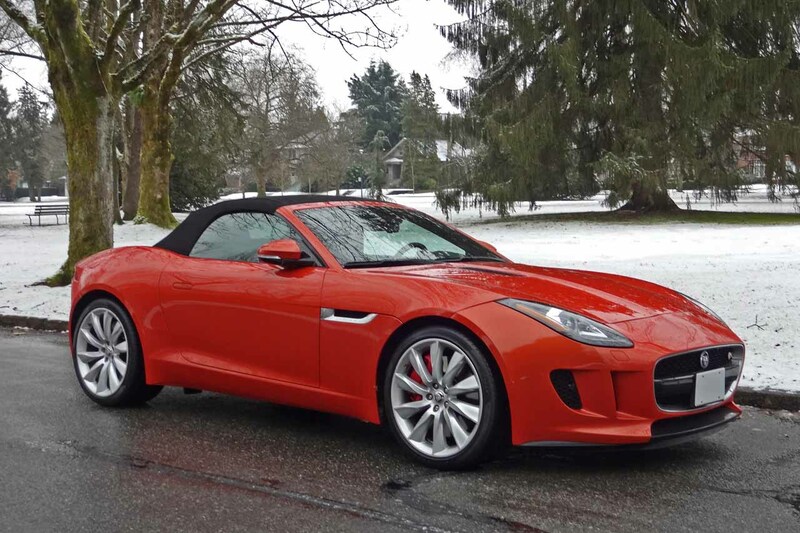 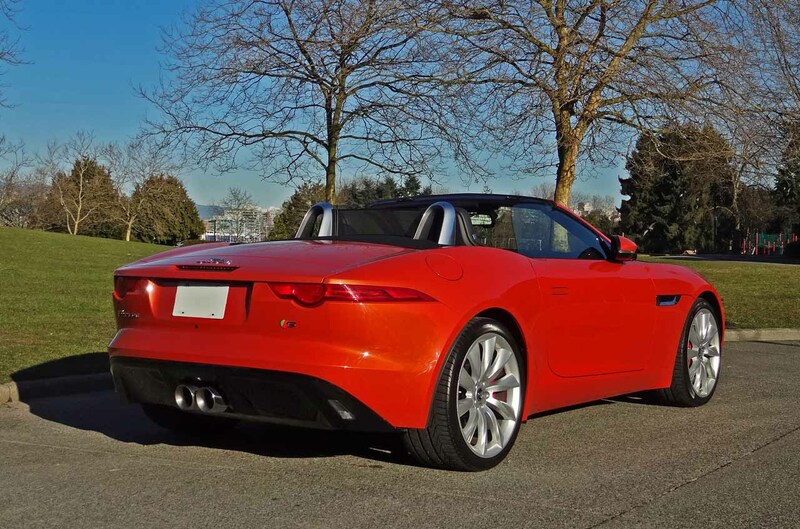 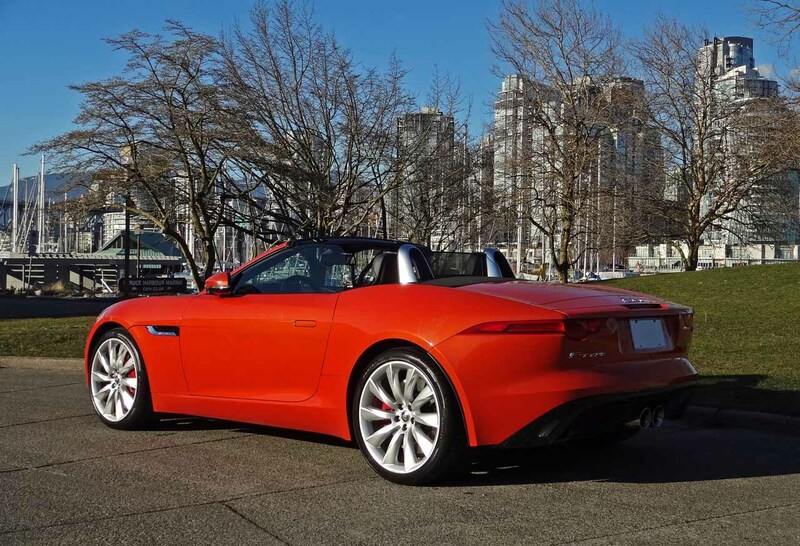 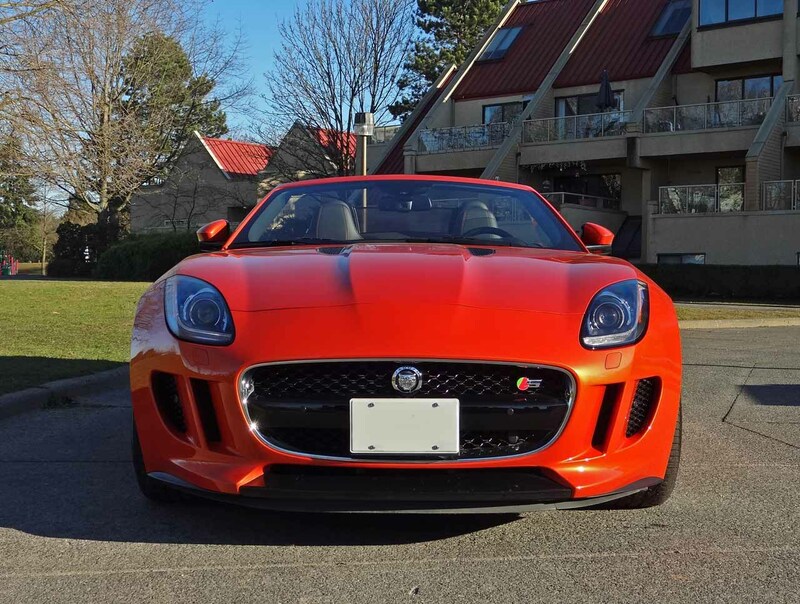 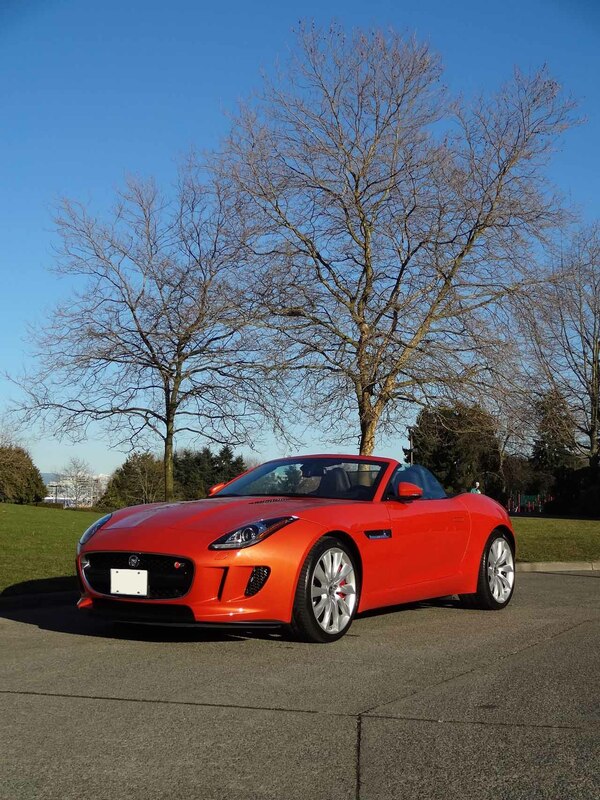 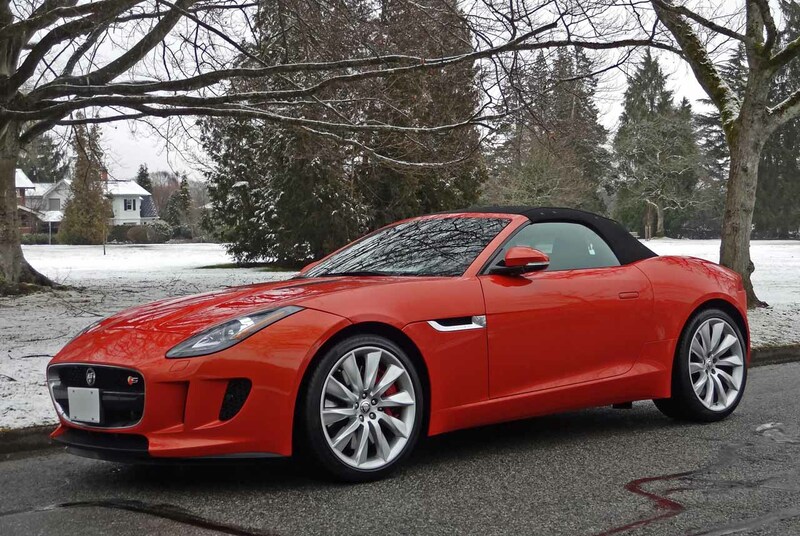 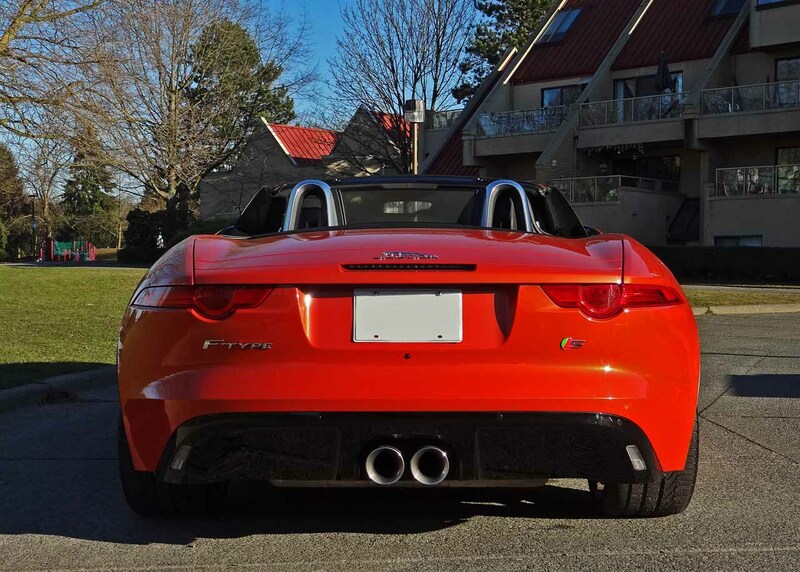 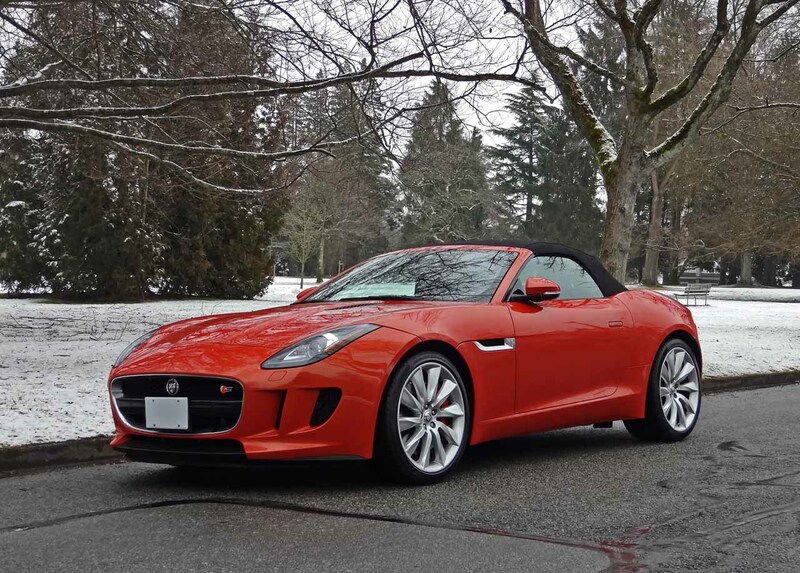 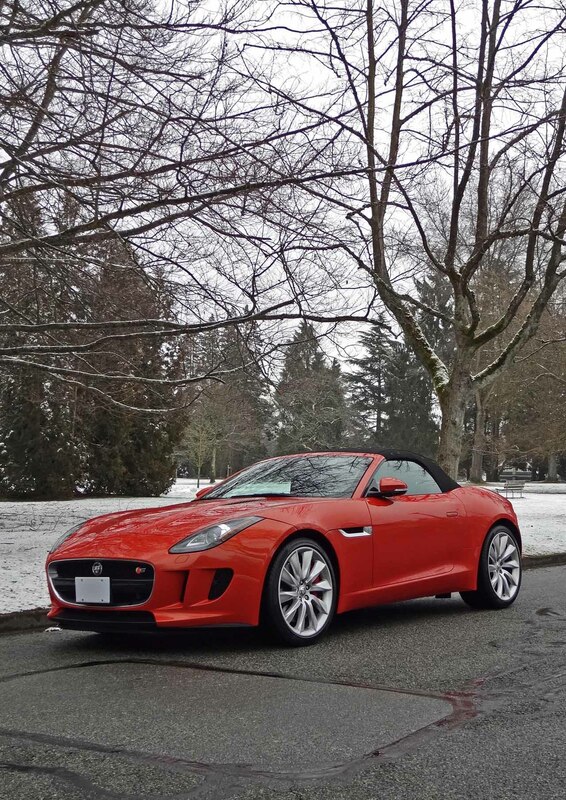 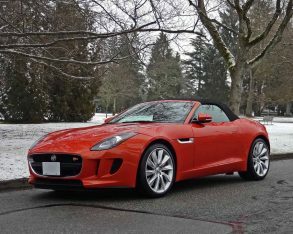 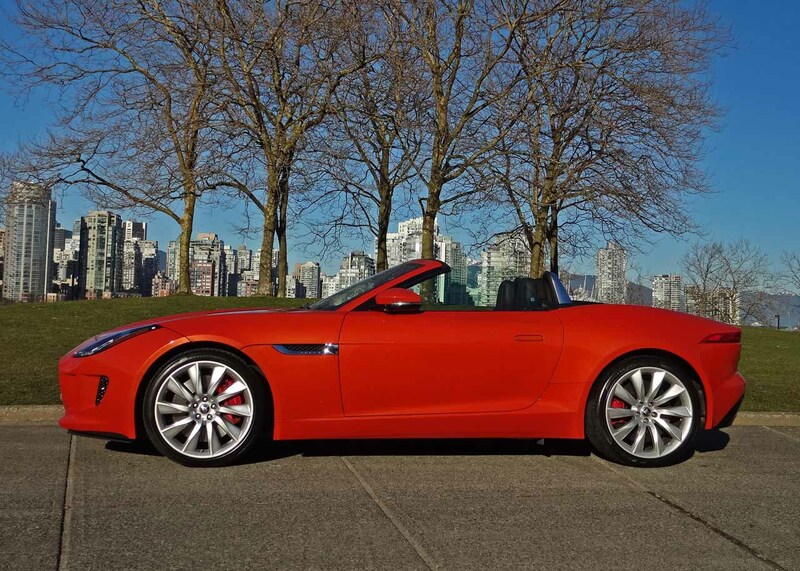 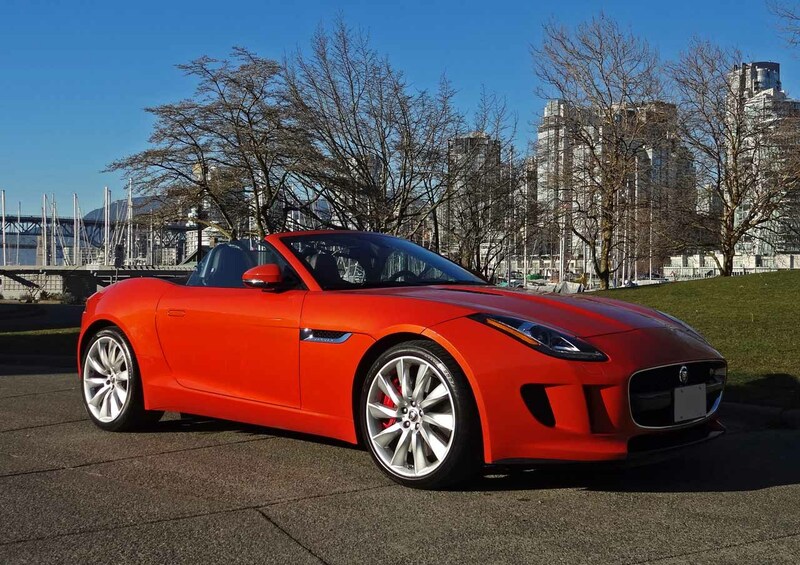 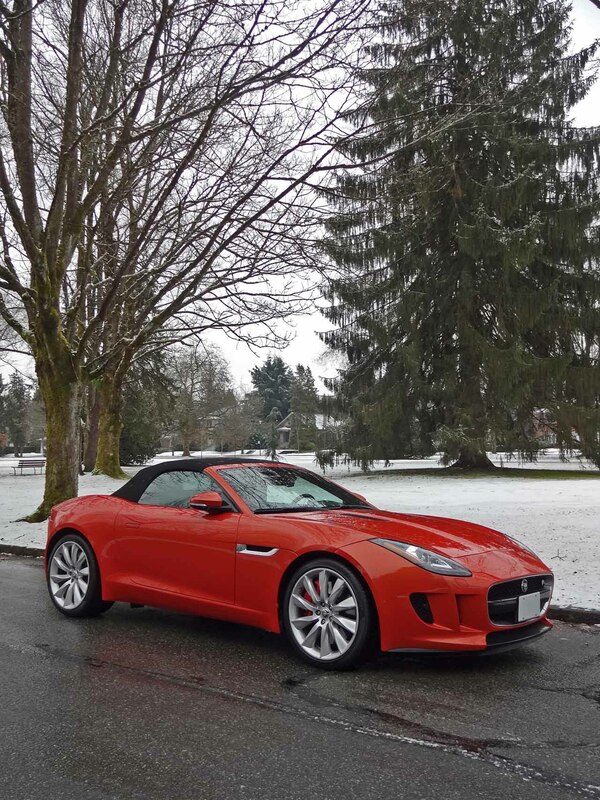 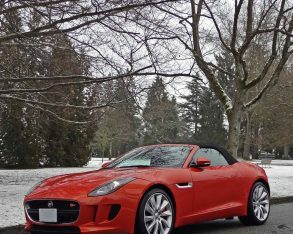 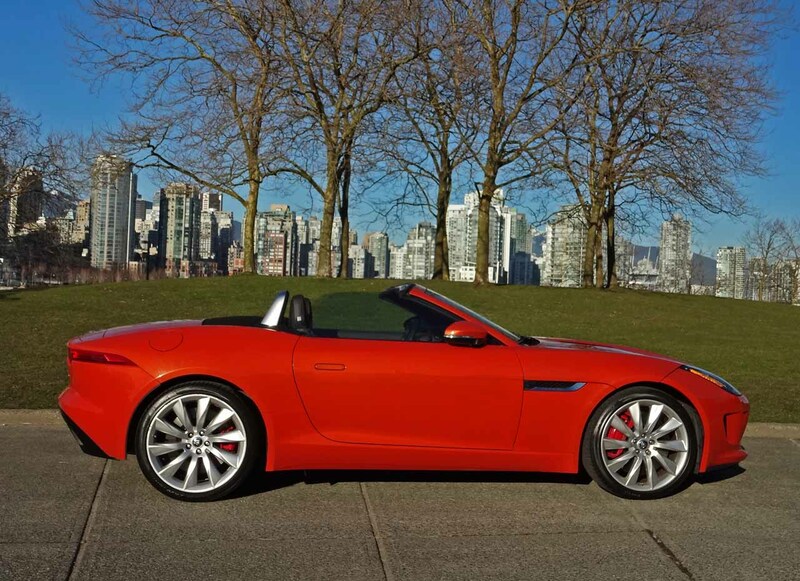 The F-Type is now the new sports car to own and easily worthy of a 911 owners fat monthly car payment. 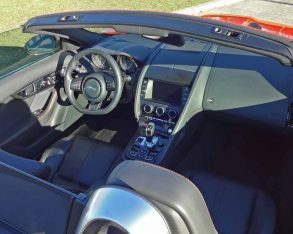 That it comes in at a relative bargain price, starting in Boxster S territory at just $76,900, is the proverbial icing on the cake.